Our wall mounted reverse osmosis plants for better purification of colored and salted water. It does not leave any kind of residue after the completion of purification process and make use of premium quality R.O. membrane for perfect operations. 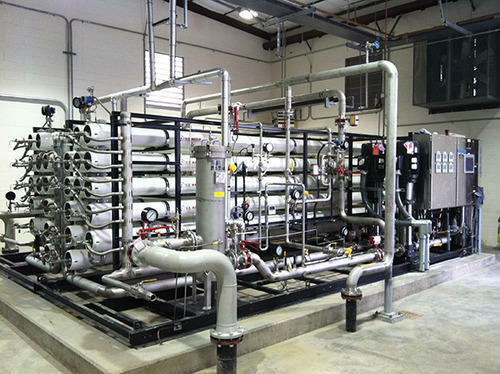 Commercial Reverse Osmosis System works by reduction of suspended and dissolved particles and solids such as ions, metals, inorganic, organic and various bacterial contaminants. Available in customized finishes, the R.O also enhances the original goodness of the water. Our tech support team consists of qualified personnel who build and engineer each water treatment product/System. All water treatment systems are designed for ease of installation and trouble free operation and maintenance in mind. Our commitment is to provide quality products and prompt after sales service. We believe in continuous improvement and value added services to the customer.